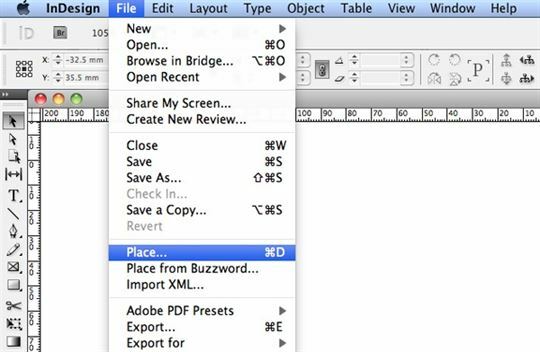 "Is it possible to convert a PDF into an Indesign file?" The answer is yes. In this article, we’ll teach you several methods for how to convert PDF to InDesign including using the program PDFelement ProPDFelement Pro. If you want to work with a PDF file and edit its elements, you’ll need to choose between three different conversion methods. First, you can do it manually. This means that you would copy the various elements and recreate it in InDesign. With this method, you can highlight the text from the PDF file and place it in the InDesign file you are currently working on. For images and graphics, select each element and place it within the Adobe software you are using. You can use Adobe Photoshop for a single image and Adobe Illustrator for multiple images. This method can be very tedious and time-consuming, however. This merely requires the use of third-party software that creates a plug-in within your InDesign software. Once installed, a new item appears in the menu. The Markzware can be clicked in order to open a .PDF file. 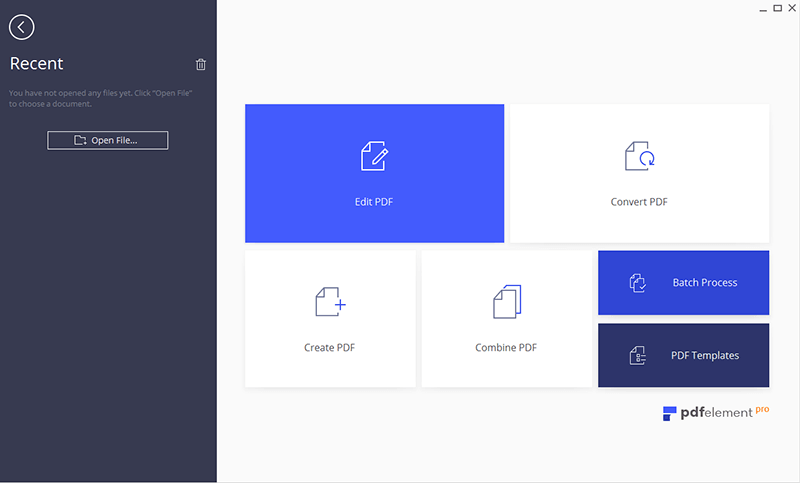 Once opened, convert the PDF file using the same menu. This step is very easy. It takes only seconds or minutes to convert the file, depending on its size. Once converted the various elements of the PDF file then become editable. A lot of users may simply need to place PDF content within their InDesign document but not necessarily convert it. They may place an existing PDF file in InDesign. You simply need to use the "Place" tool in the InDesign software to do this. Once you click the "Place" tool, you can find the PDF file you need to import. When you import a PDF file, you can choose the specific pages that you want to place. When you import, the default action of InDesign is to import only the first page. However, you can work around this and import a range of pages, or all pages. Tips: The "Import" option in InDesign allows you to control what you import easily. It also comes with a "Preview" tool that lets you get a glimpse of what it will look like when you import your item. This is a great way to avoid mistakes in the process and save a lot of time and effort. For practicality, editing your PDF file before converting or importing it is an important step. You’ll find it helpful to download a versatile and dependable PDF editor like PDFelement ProPDFelement Pro (Compatible with macOS 10.14 and Windows). The editor also allows conversion of PDF files to formats such as .DOCX, .JPEG, and .EPUB and more. This tool allows you to edit PDF files with ease and convenience. You can also secure PDFs with watermarks, passwords and signatures. Compress the file to a reduced size or even merge or split your file for greater portability. Editing can be done with this PDF editor rather than having to make changes in InDesign. You can edit and convert scanned PDFs using the OCR feature. 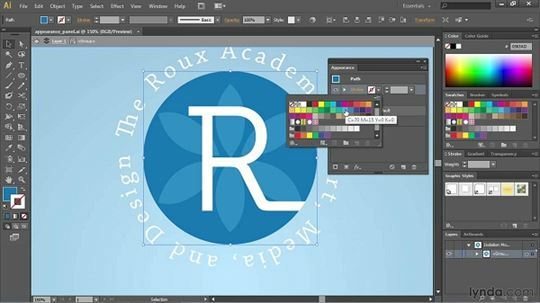 The InDesign software is also compatible with QuarkXPress (xqx) and QuarkXPress Passport (xqx). It can import files in other formats in order to place images and graphics in the file however. InDesign can import files including .PDF; .JPEG; .BMP; .DOCX; .GIF; and .MOV, among others. There are also various export file formats to choose from so you can save your work in the specific file type that you want. 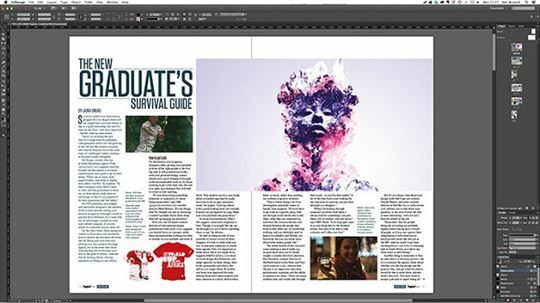 Adobe InDesign is a great program to use for many types of formats and documents. You can create beautiful and unique brochures, letterheads, newsletters, business advertisements, and even books using this software. When using InDesign, the output is usually saved in PDF format. However, once the project is saved in PDF format, it can be difficult to edit in InDesign if necessary. The PDF format preserves the original layout and secures the file, making it easy to share. While this is very beneficial, editing a PDF is the one task that can be a challenge, and it pretty much impossible to do in InDesign. You’ll need a PDF editing program.